Ah Lego, the plastic toy enjoyed by adults and children the world over. While we’ve previously written about amazing Lego Mindstorms projects, are you out of luck if you don’t own any sets such as the Mindstorms EV3? 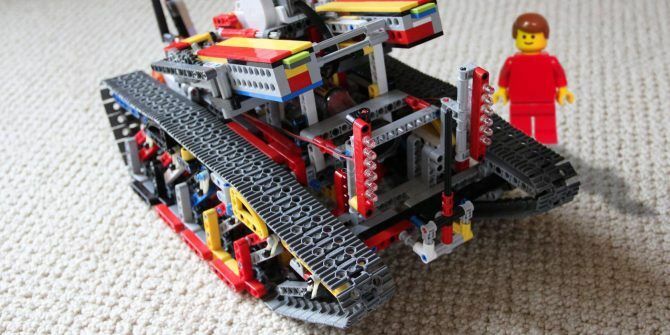 There are plenty of great projects you can build without a Mindstorms brain. Here are some of the best. This marvellous contraption is the work of YouTuber akiyuky. Featuring pneumatic pumps, conveyor belts, robots, trains, lifts, and much more, it’s a wonderful mix of engineering and ingenuity. What’s even cooler about this machine is that it appears to be entirely mechanical. There’s no computer or Mindstorms brain to control functions, it’s driven by motors, gears, and timings. While it is a Rube Goldberg machine, in that it serves no real function other than looking cool, it’s still a brilliant piece of Lego engineering. This neat arcade game comes to us courtesy of YouTube channel Let’s Do This. With a simple motor and gear mechanism, you’ll only need a few specialist parts to build this yourself. Not only does this machine work as a fully functional arcade game, but the video guides you through the various different parts of the machine. Once again, this project is purely mechanical, and requires no programming whatsoever! This wonderful pattern drawing machine was built by YouTube channel JK Brickworks. Coming in at around 100 pieces, this design is on the simpler side, but the results are still spectacular. Using just a motor and some gears, you’ll only need a few non-Lego supplies such as a pen and an elastic band. Detailed full build instructions are available for free, and are so well produced that they could have been written by Lego themselves. Simpler is always better, so this machine should be on the list for the design alone. This project also comes to us from the skilled hands of YouTube Lego channel JK Brickworks. Based on Theo Jansen’s Strandbeest, this marvelous Lego machine requires no brains to control it. While purely mechanical, this model does require some specialist parts such as motors and battery packs. This build is certainly on the complex side, but the creator has once again provided clear detailed instructions on his website. While the build guide does not specify how to build the whole model, it covers the walking mechanism—the most complex part! Alright, so this project does cheat a little bit. This project uses an Arduino What Is Arduino & What Can You Do With It? What Is Arduino & What Can You Do With It? The Arduino is a remarkable little electronics device, but if you've never used one before, just what exactly are they, and what can you do with one? Read More as its brain. 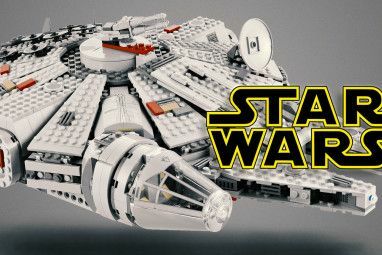 While this may go against the Lego ethos, it still makes for an incredible project. Featuring live video streaming, suspension, working rubber band guns, headlights and more, this model looks and sounds every bit as real as its full size counterparts. This project involves some soldering and Arduino programming, but help is at hand, as the author has provided basic schematics and code. Built by YouTuber Ishaan Gov, we think this is one awesome machine! This project by YouTuber Steve Sammartino is one of the most impressive projects we’ve seen. Not only has he built a life size, working car, but it runs on air, and he funded it all through a single Tweet! Built using standard Lego pieces, this unbelievable contraption uses 256 pistons, and over half a million pieces. The fact that it drives at all is amazing, but this “model” can reach speeds of up to 18 mph! Next time somebody tells you that Lego is for kids, show them this project! 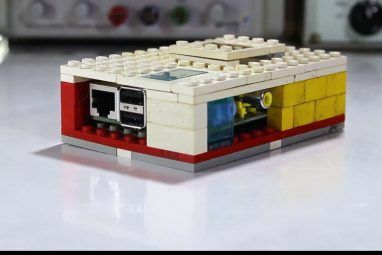 This fully working Lego power station comes to us from YouTube engineer Hans 56. By using compressed air to move a Pneumatic cylinder connected to a motor, this project generates electricity. While we’re unsure of how much electricity is produced, you could, in theory, create your own power grid to run your Lego city. Admittedly, you’ll need a constant supply of compressed air, but this project wins points for creativity alone, even if it’s not that efficient. This V6 engine design comes to us from YouTuber DrDudeNL. Running at 800 RPM, this engine can certainly produce enough torque for basic Lego engineering tasks. Once again, this design does run on compressed air, so it’s probably cheaper and easier to use an electric motor, but as an engineering project, it’s a good one. Perhaps you could install this into a model sports car, to give it that realistic look. Constructed by YouTube channel 896gerard, this machines compresses air. While this may not sound very cool, it’s more useful than you may think. As we’ve seen above, Lego Pneumatics can be used for a huge number of projects. Pneumatic cylinders however, need a source of compressed air. What better way to power your other projects than by building a Lego air compressor. While slightly on the wimpy side, this machine has enough guts for simple Lego tasks. You’ll probably want a real, non-Lego compressor for things like a life-size car, however. Our final Lego engineering project comes to us from YouTube channel mawemaggi0815. What better way to end than with a working Lego Lathe. Lathes are an engineering staple, used to produce all kinds of useful things. This design features adjustable gearing, automatic lead screw, miniature handles, and more. It’s even been built in engineering green! While this machine isn’t powerful enough to work anything larger than a Lego brick, it’s still a great example of what you can achieve with a few gears and a motor. We’ve shown that you don’t need to own a Lego Mindstorms brain to build some cool projects. Whether purely mechanical gearing, or with cheaper DIY electronics like the Arduino, the possibilities are endless. 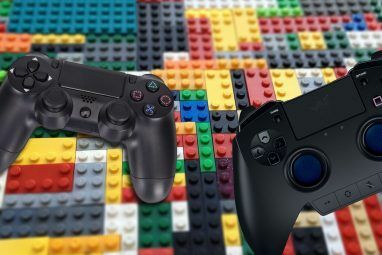 If you’re looking to build your own project, but don’t want to splash out on the Mindstorms brain, consider an Arduino, Raspberry Pi, or other Pi alternative. You could use something like Scratch on the Pi Getting Started With Scratch on the Raspberry Pi Getting Started With Scratch on the Raspberry Pi Our Scratch tutorial lets you have fun with a Raspberry Pi even if you don't know how to code. Read More to program your project without writing a single line of code!